If you love hip and urban luxury, then you will love Bobby Berk's design aesthetic. Moving to NYC with only a dream and a $100 in his pocket, Bobby Berk now has an extensive online shop called Bobby Berk Home. 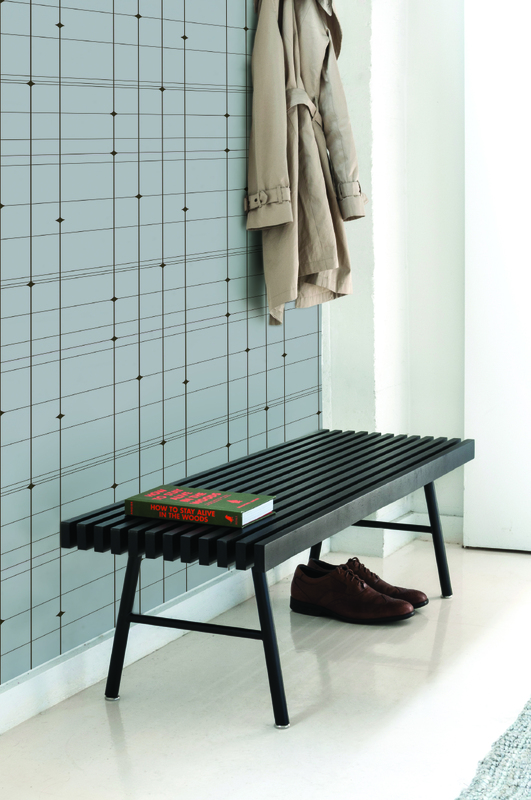 Bobby believes in fun, affordable luxury design to the masses. His mantra is everyone can have a fun well designed home with quality pieces and not feel like they broke the bank. He uses bright colors, fun designs and unique prints so your home is a happy livable place. I met Bobby in Vegas on BlogTourKBIS and he is personable and fun to chat with. I am thrilled to share this interview with him where he talks about his design inspiration, wallpaper designs for Tempaper and beautiful interiors for the Responsive Homes built by Pardee Homes. 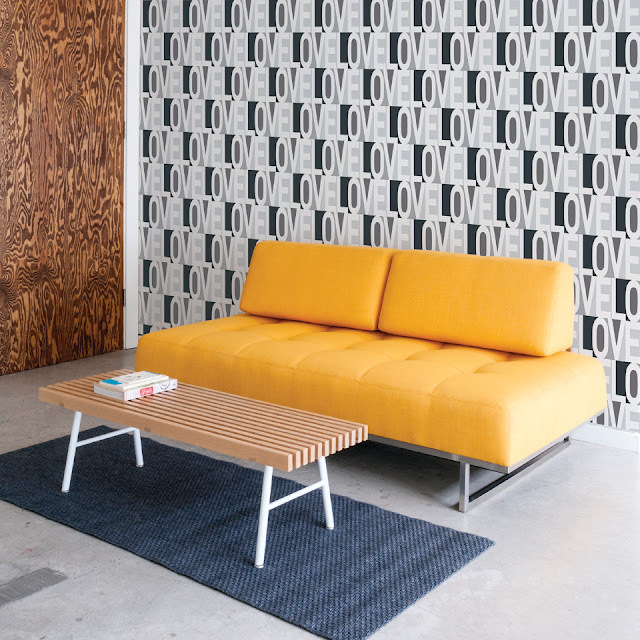 I am definitely more of a mid-century modern inspired designer with a penchant for a minimalist and clean aesthetic, but with a dash of cheeky youthful pop fun. I get excited about new and innovative products and materials, but the cornerstone of any good design is still classic, tailored modern upholstery and case goods. So when I see a company that produces a great piece that is beautiful in its simplicity and really celebrates form and quality construction, that can get me equally excited as something new or techy. TAKE US BEHIND THE SCENES OF YOUR RESPONSIVE HOME DESIGN: THE DESIGN PROCESS, INSPIRATION AND ANY CHALLENGES? Designing these homes was a lot of fun. I liked that there was a set demographic which was a great place to jump off and formulate concepts for both homes. 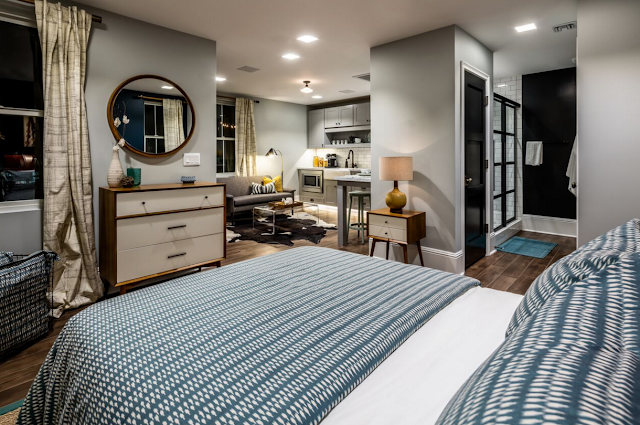 I really connected with the millennial demographic that these show homes were being geared towards, because I’m a millennial too! Even though I’m on the back end of the age range, I’m still very pop culture-centric and am rooted in tech culture which connects me to this demographic in so many ways, and yet my experience has lent me the wisdom to distill the needs and priorities of millennials from my own perspective and translate those values to the greater builder market. 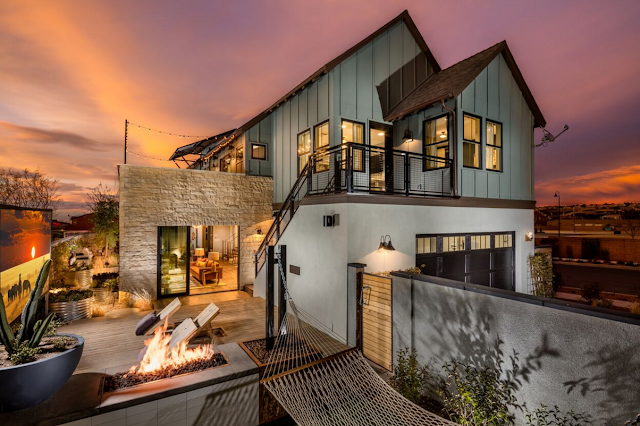 The smaller of the homes was a contemporary farmhouse, designed for first time home ownership, and the larger a gallery-style modern dessert oasis which was geared toward the millennial professional buying at a slightly higher price point, perhaps a second home ownership situation. For the contemporary farm house, I wanted all of the selections and materials to be accessible for real first time home owners and fit a modern farm house aesthetic, so I felt that West Elm was a good fit for a lot of the furnishings. 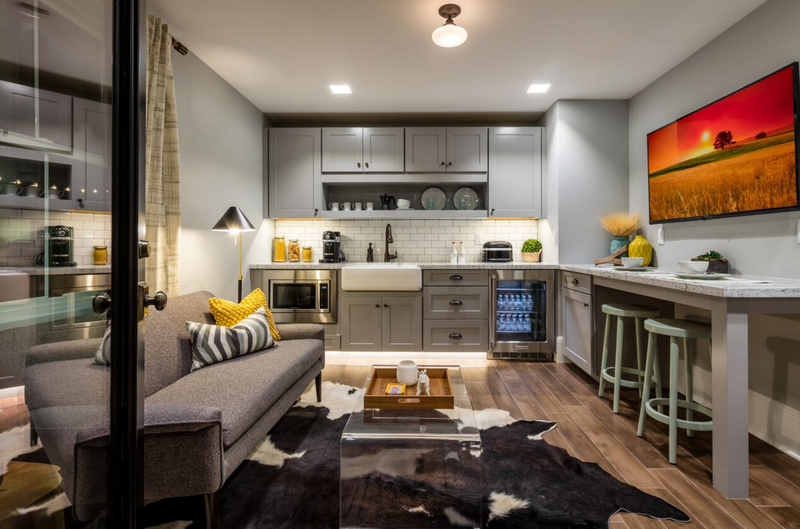 It comes in at a great mid-level price point and the brand has embraced mid-century modern furniture with a bit of rustic sensibility that I think was a great complement to the concept. 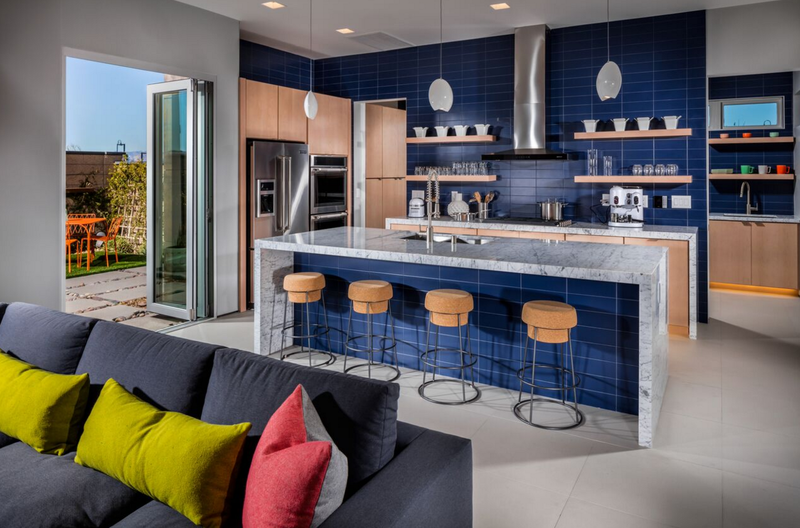 We chose in both homes to carry a very cohesive material palette throughout all of the wet spaces, and the we ran the same flooring throughout the homes, even into the showers and outdoor spaces, which really made the homes feel quite expansive, connecting indoors and outdoors. 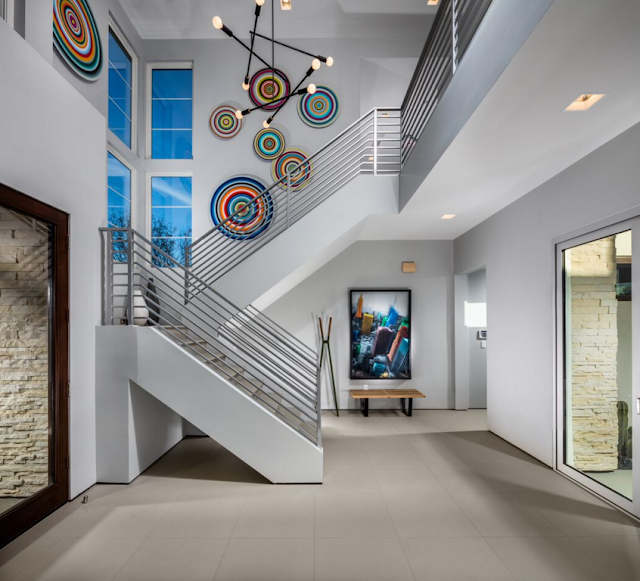 For the large home, I wanted very neutral flooring and walls to serve as the perfect backdrop for an art collector’s gallery space, with fun pops of vibrant color in the art and accessories that gave the space a fun sophistication that didn’t take itself too seriously. Despite it’s playful aesthetic, the home still had the perfect layout for entertaining, and we utilized huge pocket sliding doors that tucked away into the walls and completely doubled the living space to the fabulous backyard entertaining area. The landscaping and pool alone made the home a really fantastic party pad that anyone would be thrilled to host from. 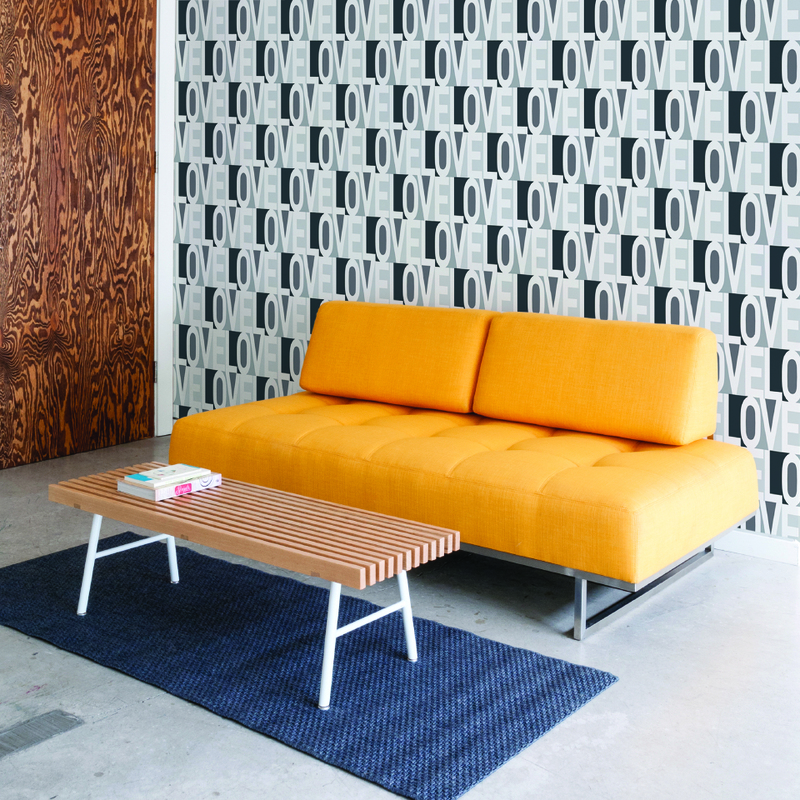 TELL US ABOUT YOUR PARTNERSHIP WITH TEMPAPER? 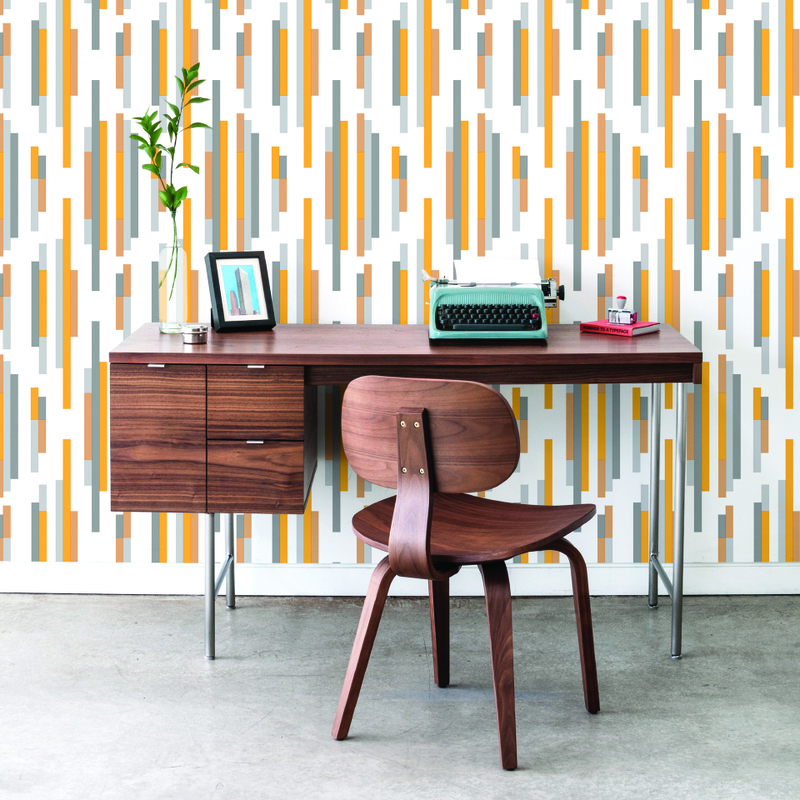 My partnership with Tempaper started ten years ago when I was one of their first retailers. I love working with everyone at Tempaper, and they've always been really good to me so it made sense to expand the partnership into a licensing deal. 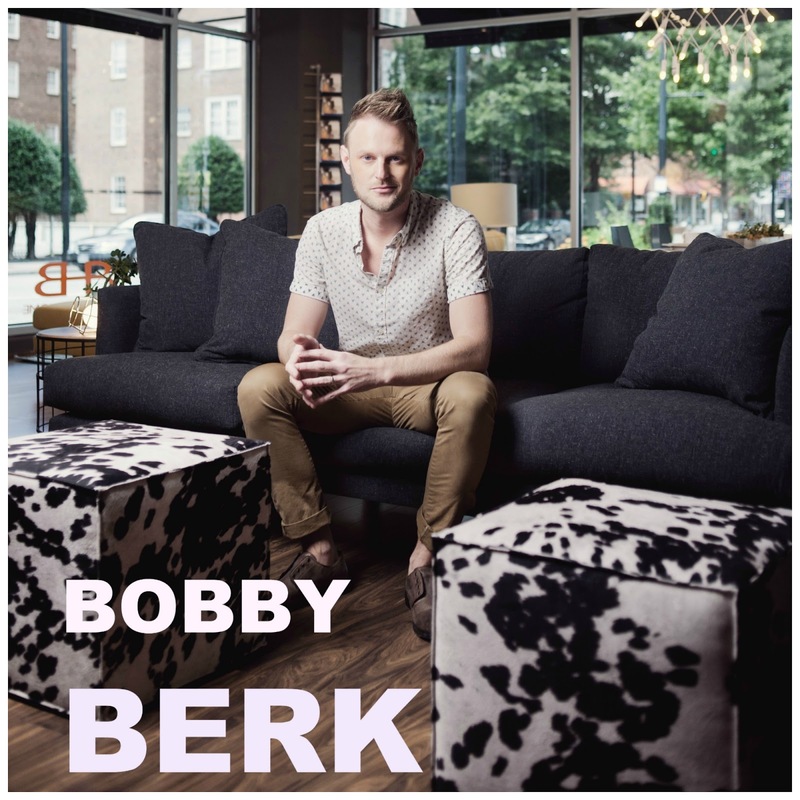 Now Bobby Berk for Tempaper is available on Target.com and their collection was one of the top ten sellers in home goods last month, so it's really exciting to see this partnership expand and be well received. My prints have been featured on the Today show and Good Morning America as well as Wall Street Journal. FAVORITE DESIGN MATERIALS? HAVE YOU USED IT IN ONE OF YOUR HOME DESIGNS? One of my favorite materials right now that I'm obsessed with is Calcatta gold marble. It has beautiful veining with grey and gold warm hues that really make it look so luxurious and distinct. I used it throughout a model I just finished in Las Vegas and would be very happy to use it again, because it can be worked into any aesthetic as a beautiful complement. 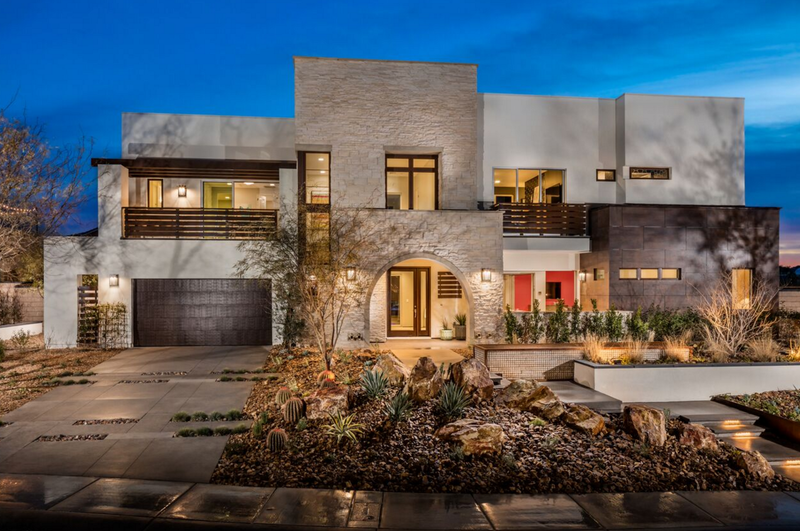 WHAT CUTTING EDGE TECHNOLOGY ARE YOU LOVING FOR HOME DESIGN? 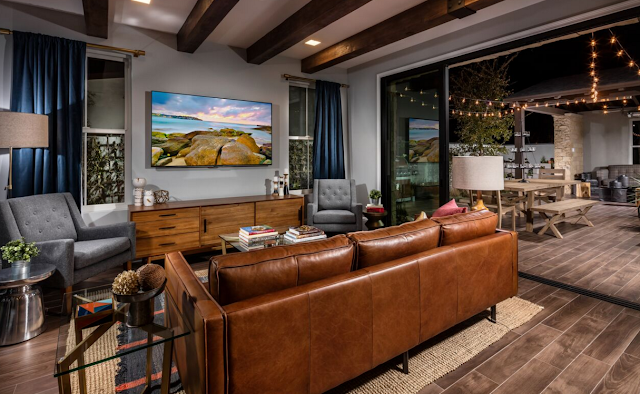 The Crestron home automation system from Audiovisions is a really cool way to put everything you want to control in your home at your fingertips and makes your entire home feel like a "smart home" that you can interface with via an iPad, or on your phone. You can do everything from regulate different temperatures in different rooms to turn on the television to a certain channel with all of your pre-specified controls saved just the way you like them. WHAT ARE YOUR FAVORITE PLACES TO FIND COOL LIGHTING IN FURNITURE IN NYC? While living in New York I always had my own store that I curated with all of the things that I love, so I honestly never really needed to do a lot of furniture or lighting shopping. I still maintain a strong online retail presence and I do a lot of shopping online for projects. I frequent high point and Las Vegas markets and so I typically know what lines speak to me and constantly get to see new product in the flesh, so I know what I'm getting when I place an order. I have no regrets. Everything that I've been through in life has shaped me into the person I am today and I wouldn't trade any of those experiences. I feel like there is a reason and a purpose for everything that life hands you, and even the failures are moments that offer you perspective, causing you to take pause and appreciate the things in your life that you can be grateful for. 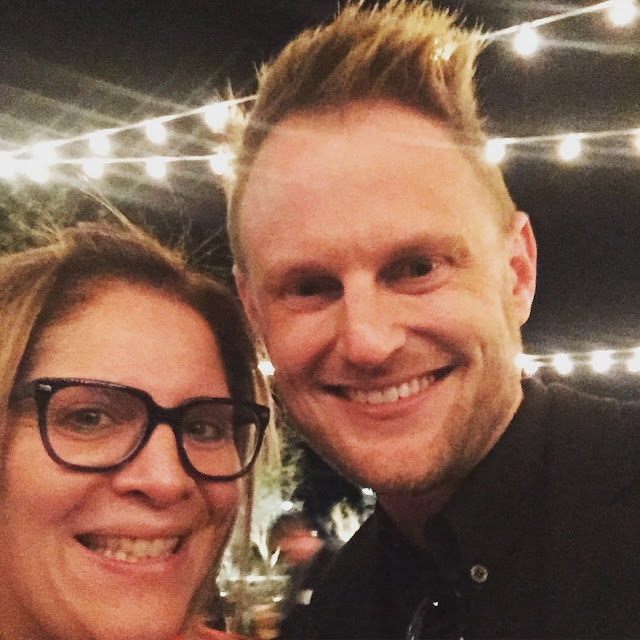 Thank you Bobby Berk for the enjoyable interview!